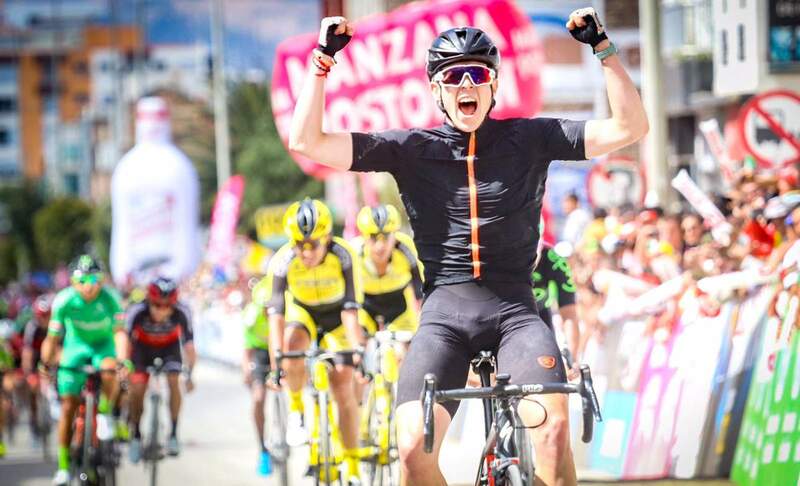 Griffin Easter, a Fort Lewis College alum who still calls Durango home, won the sixth stage of the La Vuelta a Colombia, becoming only the second American and first since 1989 to win a stage of the 12-stage race. Griffin Easter has competed across the glob for Teal Illuminate with a focus on connection with people through the bicycle. Griffin Easter wasn’t on track to become a professional cyclist when he moved to Durango in 2010. Two individual collegiate national championships and a pair of team time trial national championships spun his career forward. A stage win in Colombia in early August could have a similar effect. 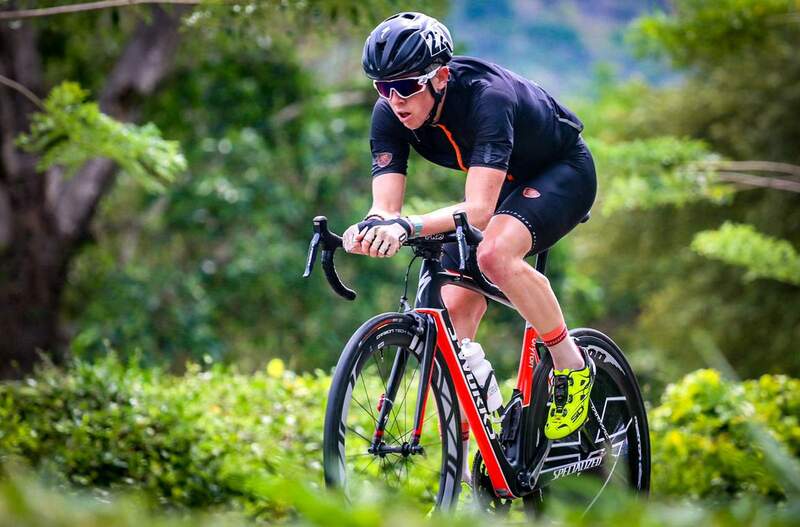 Easter, a 25-year-old Fort Lewis College alum from Claremont, California, won the sixth stage of La Vuelta a Colombia, or Tour of Colombia. His big moment came Aug. 6 on a 147.7-mile ride from Socorro to Sogamoso. He was the first American to win a stage at the Colombian race since Tom Harberts claimed the fourth stage in 1989. “We came to the end, and it was a wild last five kilometers,” Griffin said in an interview with The Durango Herald. “There were speed bumps we were going over and a break of 33 guys going for it. Easter said the feeling exceeded anything he had felt winning collegiate national championships. It was the moment he had been building toward since graduating from FLC in 2014. 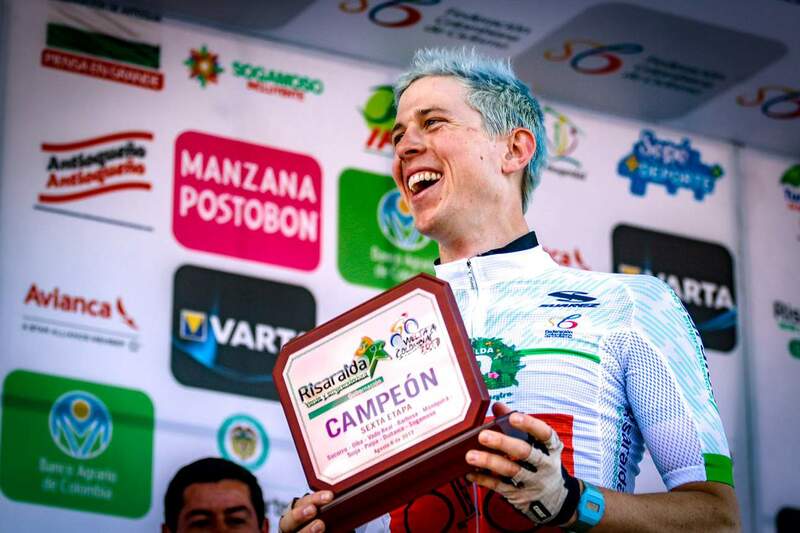 Easter majored in Spanish at Fort Lewis, and being able to give an interview in Spanish after his stage win in Colombia was the perfect culmination of the skills he acquired in college. He backed up the stage win with a third-place result on the 11th stage and an eight-place finish on the 12th and final stage of the 1,054.5-mile race. He finished 44th overall in the general classification standings. Easter’s path to become a professional cyclist has never been clear. He grew up playing baseball, soccer and water polo and was interested in alpine skiing. He never considered competitive cycling at the junior level. While visiting colleges, Easter was nearly sold on moving to Flagstaff, Arizona, but his last trip to Durango led him to a ski day with his father, and they both agreed Fort Lewis College would be Easter’s destination. He joined the club ski team and looked into cycling in the spring. Easter went on to win a track points race national championship and the road cycling national championship along with his success in team time trials. Easter signed with Chris Johnson’s Airgas Cycling Team in 2014 and has remained with Johnson through the years, with the team now called Team Illuminate. Easter has competed all over the world, including countries such as China, South Africa, South Korea, Taiwan and even Iran. The team wears all-black with no logos on its rider jerseys. The team’s goal is to connect with community members in each nation they visit. Easter, who is based out of Durango, will race in Kazakhstan at the end of September and plans to race in Rwanda in November. The team has raced bigger races over the years. When invitations for the Tour of Utah and Colorado Classic didn’t go out to Illuminate, the team was happy to accept an invite to Colombia for one of the world’s toughest stage races. Easter hopes to use the momentum gained in Colombia to reach for new heights in a sport that found him as much as he found it. “When I went to school, this is not what I expected to get out of school at all,” he said. “Ever since I was young I played sports, whether it was baseball, soccer, water polo, swimming or surfing. Sports has always been central to my life. I wanted to be professional at something. That was my dream. I came upon cycling and, finally, I was better at something than the other sports I played. I loved it, and I’ve become pretty good at it.